Used Skoda Yeti Review - 2009-2017 | What Car? 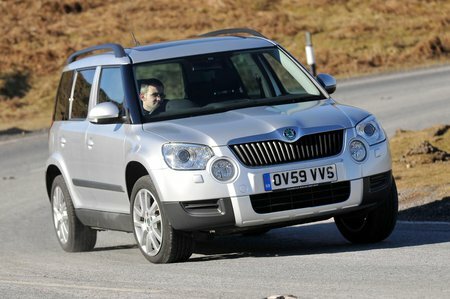 What's the used Skoda Yeti estate like? As one of the first small family SUVs to hit the market, the Skoda Yeti needed to stand out from the crowd. Chunky, Tonka-toy looks, blistered wheel arches, oversized roof rails and lower-body cladding ensured this was the case, and then there was the name: that of a large, hairy abominable snowman. Fortunately, there is nothing abominable about this practical alternative to a family hatchback. There’s certainly nothing monstrous under the bonnet of a Yeti. The small 103bhp 1.2-litre petrol engine (later uprated to 109bhp) is perfectly pleasant; the larger 158bhp 1.8 is smooth and the later 148bhp 1.4 turbo is an even better bet for its blend of performance and economy. You can even have a 103bhp 1.6-litre diesel that's laughably inexpensive to run, or a bigger 2.0-litre diesel in either 108, 138 or 168bhp forms. Being quite wide and tall, the Yeti has a generous amount of space inside for five passengers. Just like its contemporaries, the rear seats can slide back and forth to increase rear leg room or boot space. Combine this with the Yeti’s boxy shape and versatility is a strong suit; you'll have no problem fitting a pushchair in there and it's more accommodating than rivals like the Suzuki Vitara. The raised ride height and large window area afford the driver great all-round visibility, while the driver’s seat has plenty of adjustment and will suit all sizes. The Yeti is surprisingly enjoyable to drive, too, not least thanks to having plenty of traction. The consequences of its height, though, are a rather firm ride and a lot of wind noise at speed, which is something that doesn’t trouble rivals such as the Nissan Qashqai. 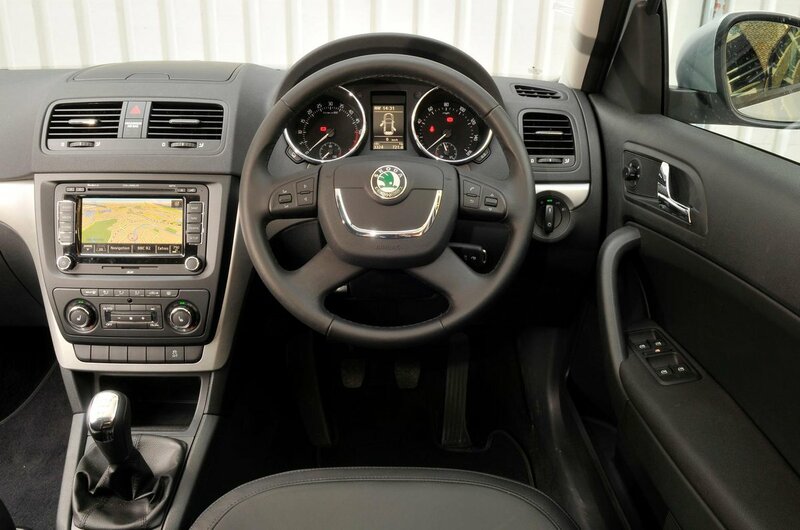 The steering, unlike that of most modern Skoda models, is quite heavy and can make parking more of a chore than it ought to be. The Yeti was facelifted in 2013, bringing new front and rear bumpers and introducing two model variations: Yeti and Yeti Outdoor. The move aimed to offer buyers a choice based on how they use their car; the standard Yeti for those for don’t need off-road capability and Yeti Outdoor –with different bumpers that increase the approach and departure angles to make it more capable on rough terrain – for those who do. This was similar to the choice offered by the Volkswagen Tiguan.